The new RS21 is a stable and fun design. Ed Furry and Sail22 will be the North American RS21 Sales Representative. Please reach out to info@sail22.com with any questions. 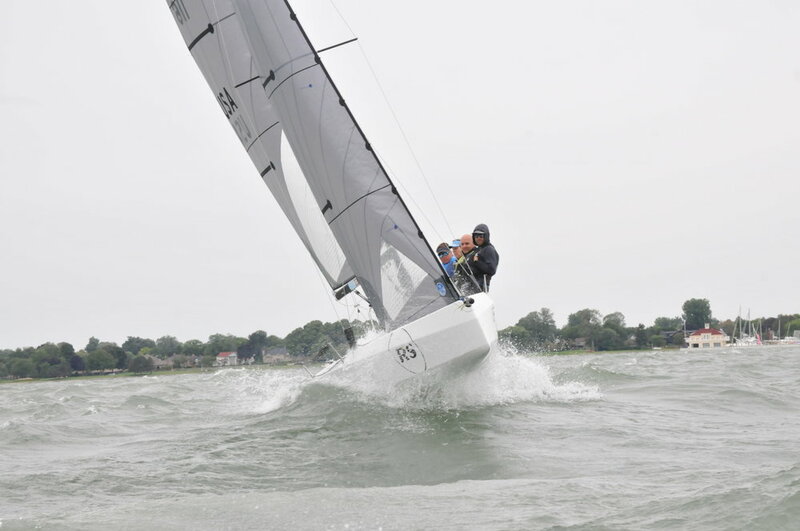 The new RS21 provides a perfect platform to race at the NOOD regattas and this exciting new class will enter the US market with a bang due to the recent increase in Club Owned fleet sailing. Sailing clubs are now looking to own fleets of boats to gain membership and although this is an idea that some clubs have been doing for a long time, if you look at the Long Island Sound Yacht Clubs, the current boats are getting older and Ideal 18’s are not built in the US anymore. It is a great program, but they need to update to modern boat and the RS21 is both a modern and stable boat. I think this is a very important part of what people are looking for in contemporary sailing. Today, no one wants to own anything. They want to be able to show up, step onto whatever they may be doing, sailing in this instance. Then step off at the end of the day and go home, keep it nice and easy. They also want to do this on a cool boat, the RS21 fits in very well. The RS21 is perfect for the varied forms in which our sport takes place. Team racing against different teams at each regatta, invitational events, inter club challenges, club challenges, match racing, fleet racing. The ease of the boat, the large cockpit, the simplistic yet modern design, works efficiently to provide ease. There are a lot of clubs who currently do not have fleets but are now turning their attention to developing fleets, in order to provide variety to their current members and attract new members and keep younger members. There was an article in Sailing Worldhighlighting this fact (click here to read the article). Clubs want to have fleets in order to provide all variations of sail racing and grow. I think that is the main reason why the RS21 is great for the US market. The NOOD regattas provide a perfect opportunity to partner with Sailing World and Charleston Race Week to begin the one design racing buzz. The RS21 is going to be a great one design boat. It covers all possible fun factors, but it also performs. The RS21 is a great mix between sport boat and keelboat as it is fast and fun to sail but then has the stability for it to be sailed by all ages and levels. We need fleets in the US, so by having 6 boats plus the demo boats to get us started at the San Diego NOOD Regatta we can start seeing these boats in action, in a fleet. It also allows us to use this platform to show off what RS21 can do. We will provide a fun, easy regatta and at the end of the day, you get off the water, receive coaching and improve your sailing through the group we will be creating. We are really excited about this. I know there are many sailors who are excited about this opportunity and we are really looking forward to the first event in San Diego. We are lucky to be attending the US Sailing National Sailing Symposium as well where we will have 2 RS21’s to demo. I think by the time we get to the NOOD Regatta in San Diego, we are going to have some exciting announcements about where fleets are starting to grow. There will be the opportunity to buy from the 6 NOOD/CRW boats after each event at a discount. It will be a used boat but it will be race tuned and ready to go. Sail22 is going to commission the boats to perfect condition, set up ready to race, and you will be able to pick up the boat. If you charter one you will be able to use part of your charter fee as a down payment for a boat if you order one. We will be able to assist with the delivery of your new RS21 after each regatta. Finally, we are also working on a Team Racing Regatta, which will take place after the Annapolis NOOD Regatta which will offer a slightly different, but equally exciting opportunity. More news on that soon…. At Sail22, we are very excited to see the RS21 class develop and we look forward to working with owners and their crew to make racing easy and enjoyable. Please feel free to email info@sail22.com or call 574-889-0022 for more information.